Trial is still underway for the Canadian couple accused of allowing their toddler son to die of meningitis after they treated him with herbs instead of taking him to the hospital. 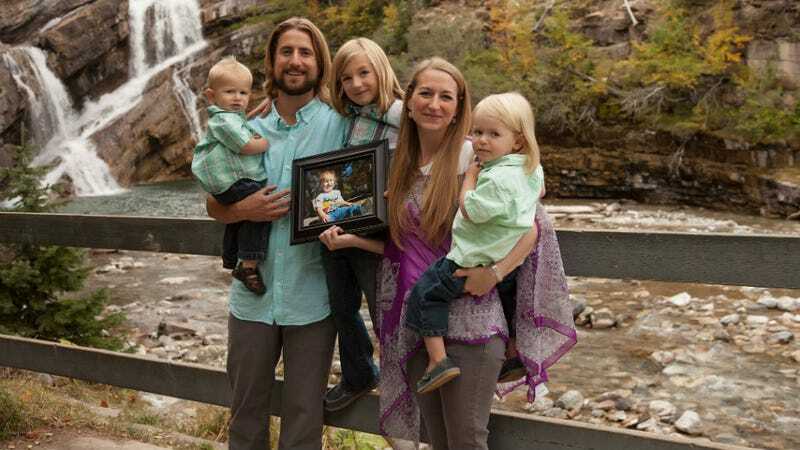 David and Collet Stephan have pleaded not guilty, but the case is sparking a larger debate over whether naturopathic doctors should be permitted to treat children at all. The Stephans’ son Ezekiel, 19 months, died in 2012 of viral meningitis; the couple is accused of treating him with homemade smoothies, maple syrup, apple cider vinegar, and an echinacea tincture instead of taking him to the hospital. By the time they called 911, he was so stiff he couldn’t sit in his carseat. By the time EMTs arrived, he had turned blue. The Stephans are charged with “failing to provide the necessities of life.” They’ve pleaded not guilty and the court has heard they believed the child had a cold or croup. The couple sought treatment for Ezekiel from a naturopathic doctor; naturopaths believe in holistic treatments, which can often involve things like homoeopathy, acupuncture, herbs, and recommending nutritional changes. Currently, 18 U.S. States, Puerto Rico, the Virgin Islands and five Canadian provinces offer official state-backed licensure for naturopaths. On Monday, the National Post explored whether it’s appropriate to allow naturopaths to treat children, given that kids can’t consent to what amounts to experimental treatment. Caulfield said naturopaths are increasingly positioning themselves as “some kind of substitute for a family physician” offering evidence-based treatments, when much of what they advertise, according to his research, has no foundation in science. David Stephan works for Truehope Nutritional Support, a supplement company. In 2004, Health Canada tried unsuccessfully through the court system to get Truehope to stop distributing a supplement called Empowerplus, which the company claims can reduce or eliminate “the symptoms of bipolar, anxiety, depression, and ADHD.” In 2012, a severely psychotic man who’d been taking Empowerplus instead of medication killed his father and badly injured his mother. The court in the Stephans case has heard they also tried Empowerplus on the child. The Stephans’ trial is set to continue April 11. The Stephans with their surviving children and a photo of Ezekiel. Screenshot via Stand 4 Truth, a donation page they have created.